Middleton architectural photographer, Andy Marshall, wrapped up Middleton’s month long heritage festival on Saturday with an enjoyable workshop sharing tips and secrets in the art of heritage photography (above). It marked the end of a great Golden Cluster Month this year, spoilt only by the rain restricting the Middleton Archaeological Society’s digs at Clarke Brow and Hopwood Millers Cottage. September Golden Cluster Month is a heritage festival run wholly by volunteers. 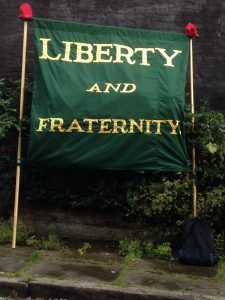 It has been running for 5 years supported by the Middleton and Edgar Wood Townscape Heritage Initiative, which is funded by the Heritage Lottery Fund and Rochdale Council. A big “thank you” goes out to all involved! 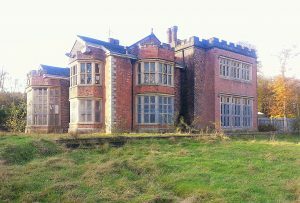 A scoop for this year’s festival was the opening for visitors of boarded up Hopwood Hall by Middleton’s son from the States, Hopwood DePree. See the Manchester Evening News report HERE. Middleton Archaeological Society experts led explorers to discover hidden medieval graffiti on the walls of St. Leonard’s Church where coded symbols and secret messages were interpreted and explained. 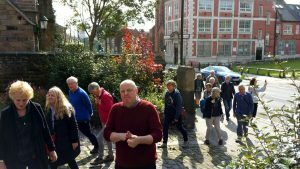 Two more visitor groups met outside the church to follow in the footsteps of the Middleton writer and radical, Samual Bamford, a man who experienced first hand the great change from fields to factories. 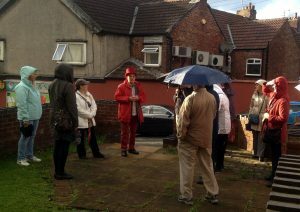 Led by local guide David Lees in his distinctive red top hat, the walks linked key locations to build the story of Sam’s life and times. 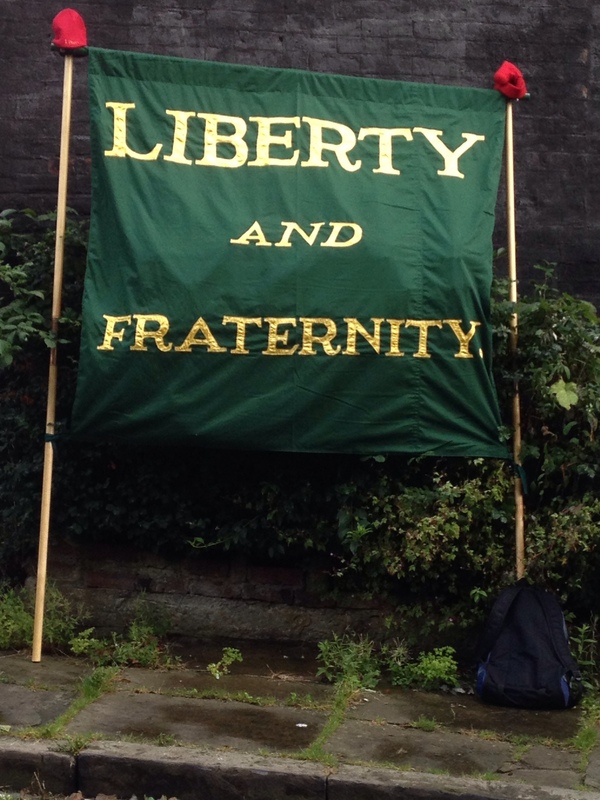 From his early education in the Old Grammar School to the point where hundreds assembled for the 1819 march to St Peter’s Field in Manchester, calling for democratic representation. 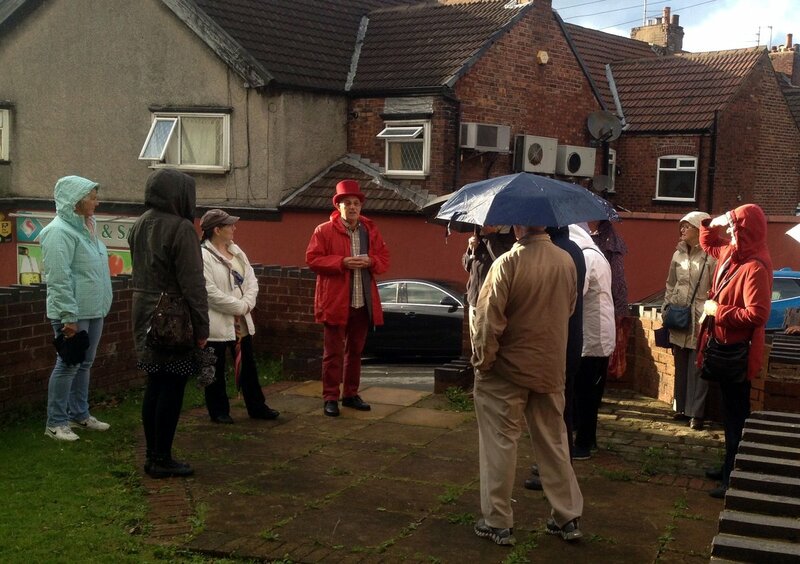 The tour moved on to the site of the house where he was arrested a week after the infamous Peterloo Massacre. Passing the Olde Boar’s Head Inn, with its Sam Bamford room, we were reminded that he was still recounting those heady days at public readings there when he was in his 60’s. We paid our respects at his grave and finished at the memorial erected in 1877 by subscribers some years after his death. Recently cleaned and restored this fine obelisk occupies a commanding position above the town. Middleton Civic Association subsequently hosted an illustrated presentation by Rob Trueblood about this same crucial historical period. 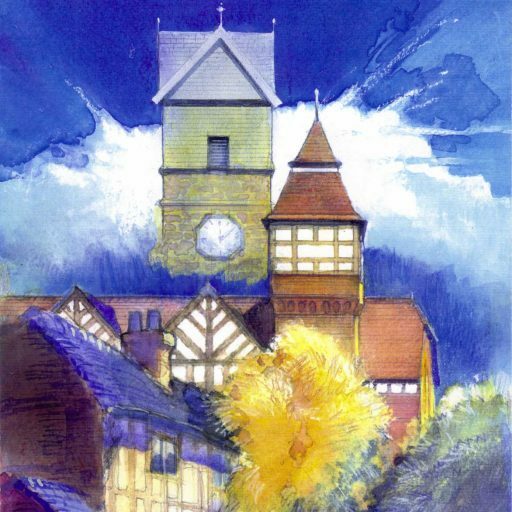 Held in the Sessions Room of The Olde Boar’s Head, a court house created at that time, visitors were shown how Middleton grew from being a village to having its first textile factories. In the 50 years from 1767 the population rose from around 100 to over 2000. 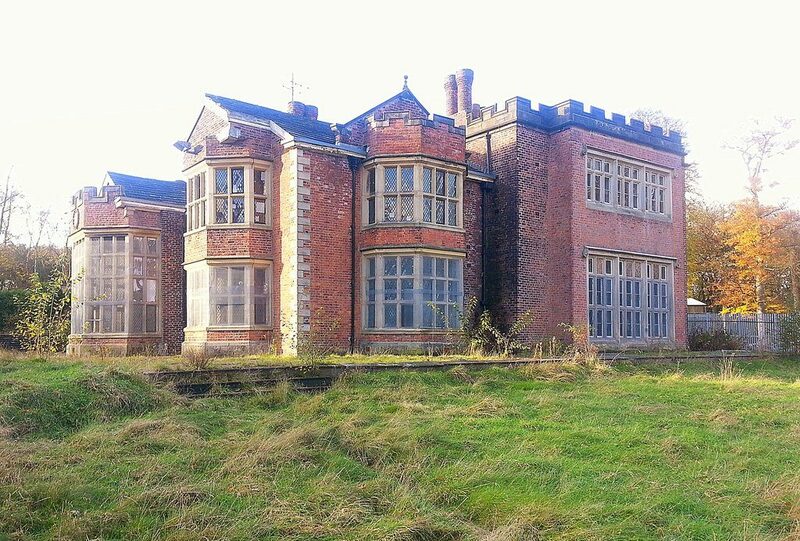 Key to this transformation was Norfolk ‘outsider’ Sir Harbord Harbord becoming Lord of the Middleton Manor and deciding his newly acquired land was ‘open for busines’. Still evident today on New Lane and Long Street are the planned ‘new town’ developments at Barrowfields where plots were sold under strict building conditions, including the occasional cleaning of privies! Probably the most significant early industrialist was Daniel Burton who moved his businees from Manchester and later developed the extensive print and dye works at Rhodes. His presence remains with Burton Street and Factory Street in the town centre. Plentiful supplies of clean water, initially for power and then for cloth finishing was a major factor in attracting his interest alongside the established skills in spinning and weaving, long practised as cottage occupations. 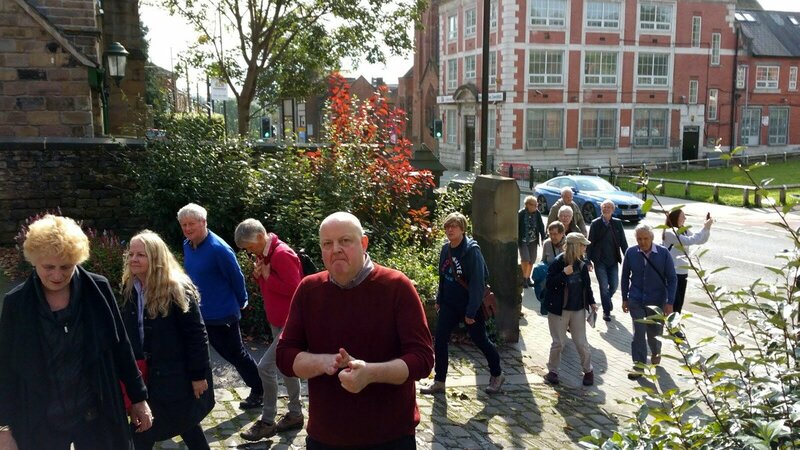 The theme then shifted to Middleton’s architecture, with Christine Grime leading an enjoyable meander through the architectural bye-ways that the town’s history has bequeathed. Few towns of this size and history can present such a Golden Cluster of heritage. 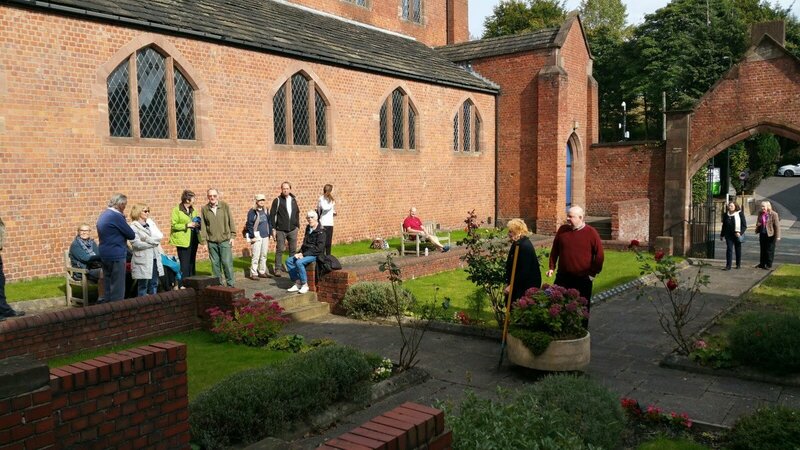 David Morris of the Edgar Wood Society subsequently led a walk and talk on how Edgar Wood re-shaped Sam Bamford’s Middleton along radical Arts & Crafts lines, conserving its heritage, bestowing new art and architecture and promoting Garden Suburbs, such as Alkrington Garden Village. Edgar Wood worked in the background quietly by stealth and researchers are only now realising the extent of his vision and influence. For example, his roles in the design of Jubilee Park and its Library, in saving the Olde Boar’s Head from demolition and in the restoration of Hopwood Hall are only just coming to light. The Golden Cluster is a remarkable collection of historic buildings that against all the odds managed to survive the widespread demolition of old buildings in the Victorian era. This did not come about by accident but was the life’s work of Edgar Wood and his supporters. The Golden Cluster is their legacy.